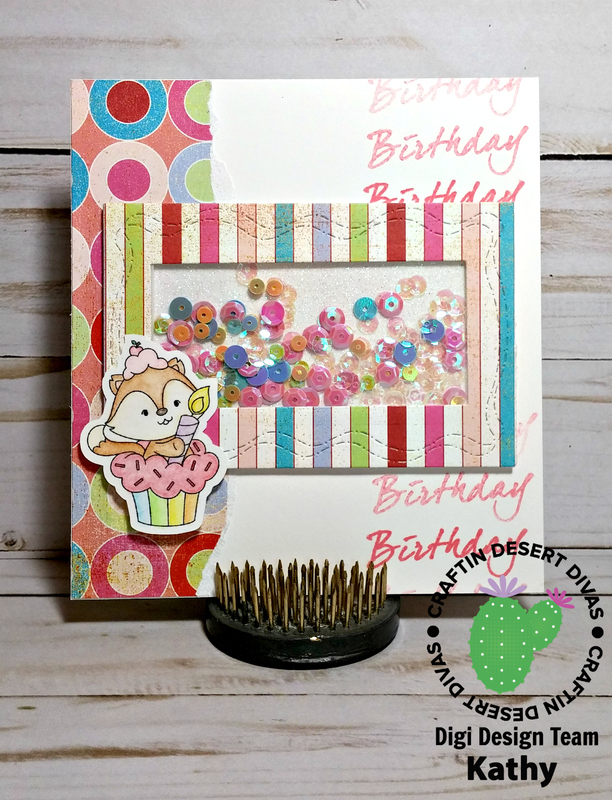 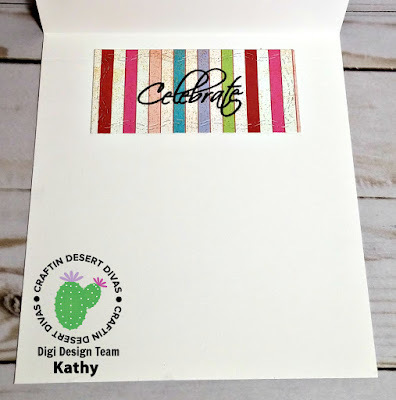 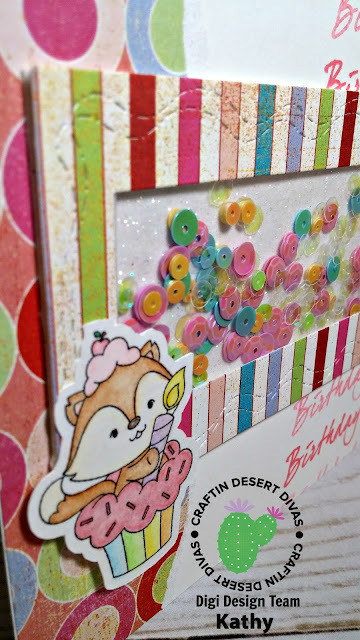 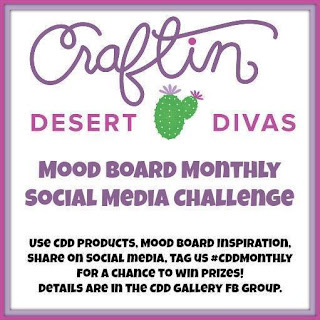 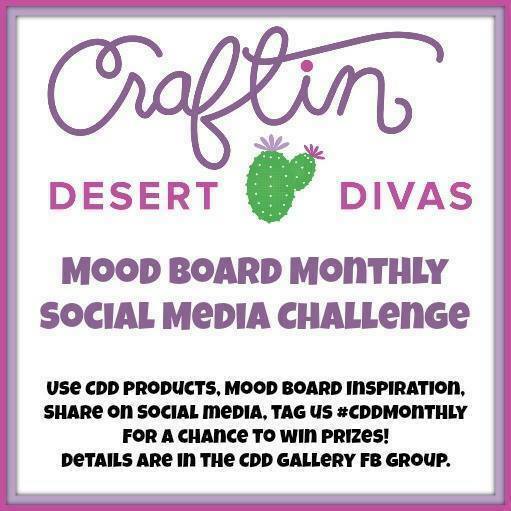 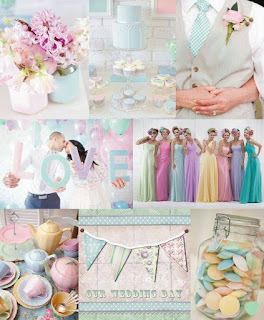 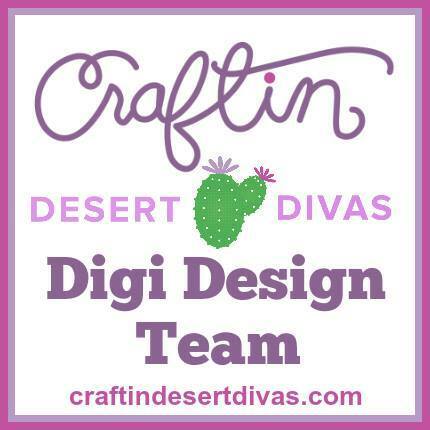 I used the Craftin' Desert Divas Crazy Stitched Frames die set, the Birthday Surprise digital stamp set, the Say It Big clear stamp set, Worn Lipstick Distress Oxide ink pad, Shimmer sequins and Pastel Paradise sequins to make my card. Versafine black ink is the perfect ink for sentiments -especially when stamping over patterned paper! I colored the cupcake fox using watercolor pencils and cut it out using my Scan 'N Cut machine.